Ireland introduced paid Paternity leave on September 1st 2016 and up to January 11th 2017, 5,545 fathers had taken up the 2 weeks leave to look after their new babies. Locally, 708 fathers from Cork have taken up the paid paternity leave since the option became available. 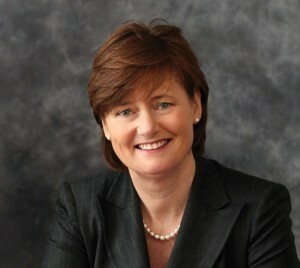 The figures were released to Fine Gael Ireland South MEP Deirdre Clune. in advance of a vote on social rights in the European Parliament in Strasbourg last week, where MEPs called on the EU Commission to bring forward paid paternity rights for fathers across all EU member states. Clune is also a member of the EU Employment Committee. Initially, paternity leave take up by men in Germany was as low 3% but increased to just 20% when authorities introduced a series of incentives. A recent UK report showed that only 1% of fathers there have availed of shared leave, since it came into legislation in April 2015. Now, more than half of the countries in the European Union grant fathers paid paternity leave when a baby arrives, with paid paternity leave now available in over 23 OECD countries. “Obviously, the deal for new mothers is much more attractive. They can avail of 26 weeks leave with a weekly payment of €230 plus an additional 16 weeks unpaid leave. Many people argue that the 2 weeks doesn’t go far enough, but I am happy that it is a progressive step in the right direction. “The onus is now on fathers to take up this leave. Shared responsibility for new- born babies is the key to equality in the labour market, but the burden will always fall on women unless men play an active role in child rearing and actually take the paternity leave.